Our PTFE press sheets protect the loading table and the heat platen of the press from ink and other debris. These sheets are reusable and can also be used to protect the bottom heat platen during sublimation. 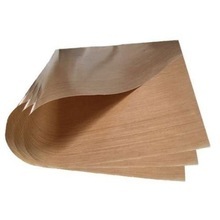 We offer these PTFE press sheets in two different thicknesses and various different dimensions.